Dr. Alessandra Abis is a graduate of the Department of Foreign and Classical Languages and Literatures at the University of Bari. She, with her husband Arcangelo, founded the Adriani Teatro in 1992 in Italy. She has performed in Greek-Latin plays, among others: “Voyage in the Greek World” (Andromaca), “Miles Gloriosus” (Plauto), “The Last Temptation of Socrates (from Plato’s Ione Minor). Also from the Commedia dell’Arte: “Harlequin Doctor Flyer,” and “Without Makeup” (Chechov), “Four Portraits of Mothers,” Lady Madness (Erasmus’ In Praise of Folly). Dr.Ernesto Paolozzi teaches history of contemporary philosophy at the University Suor Orsola Benincasa of Naples. A Croce scholar and an expert on historicism, he has written widely and published several books, especially on aesthetics and liberalism vis a vis science. His book Benedetto Croce: The Philosophy of History and the Duty of Freedom was printed as an e-book in Ovi magazine in June 2013. 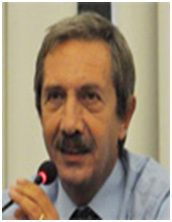 Dr. Emanuel Paparella has a Ph.D. in Italian Humanism with a dissertation on Giambattista Vico from Yale University. He currently teaches philosophy at Barry University and Broward College in Florida, USA. One of his books is titled Hermeneutics in the Philosophy of G. Vico, Mellen Press. His latest e-book Aesthetic Theories of Great Western Philosophers was printed in Ovi magazine in June 2013. Edwin Rywalt is a computer specialist living in Pennsylvania with his family. He is a talented and accomplished pianist with a college education from Columbia University and a life---long scholarly interest in the nexus between science, technology, and the liberal arts. Beginning in May 2014 he will be offering pro bono services to the Ovi Symposium with typo correction editing and other useful suggestions aiming at improving the overall format of the twice a month section of Ovi magazine. Perhaps in the future, if his commitments allow it, he may decide to join the Symposium’s ongoing dialogue. 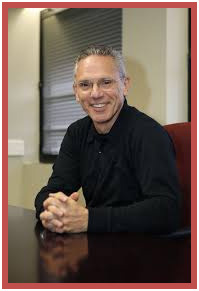 Dr. Michael Vena is a former professor emeritus at Southern Connecticut State University. He has a Ph.D. in Italian Humanism (with a dissertation on Leon Battista Alberti) from Yale University. He has published a book on Italian theater titled Italian Grotesque Theater (2001). Recently he has published an English collection of modern Italian plays by well known playwrights such as Pirandello, Fabbri and De Filippo. Indirect Participants at this meeting within the “Great Conversation” across the Ages (in the order of their appearance): Mei del Testa, Rywalt, Voltaire, Franklin, Gianturco, Weisberg, Vico, Friedman, Hargittai, Descartes, Hegel, Augustine, Gibbons, Acton, Constantine, Einstein, Dante, Petrarch, Giotto, Fra Angelico, Michelangelo, Francis of Assisi, Dominick, Catherine of Siena, Julian of Norwich, Hildegard of Bingen, Charlemagne, Chesterton, Greene, Jones, Watson, Crick, Heraclitus, Gambillo, Machiavelli, Calvino, Croce, Leibnitz, Ortega y Gasset. In this 26th session of the Ovi symposium we continue to explore two themes which are integral parts of our project of envisioning a new humanism. 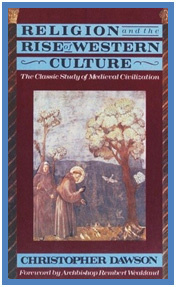 In section one Paparella returns once again to the issue of the cultural identity of the European Union as promoted by the historian Christopher Dawson, a great scholar who dedicated his life to the study of the interaction between religion and civilization, specifically that which occurred during Medieval Europe where he locates the very heart of modern Europe’s cultural identity. In section two we return to a conundrum previously explored in the symposium: why is it that some genial individuals are able to transcend over-specialization and reductionism while easily harmonizing science with the liberal arts? That is to say, they seem to conceive no dichotomy between the two? Ernesto Paolozzi delves into the intricacies of this conundrum of the distinction and the interaction between science and the humanities by reporting on a sixteen year correspondence between two modern geneticists and bio-chemists: the Italian Alberto Mei del Testa, and the Austrian Erwin Chargaff. 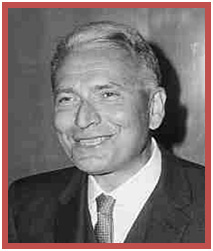 The latter emigrated to America during World War II; subsequently taught molecular biology and biochemistry at Columbia University placing that institution at the cutting edge of biochemistry. He became an American citizen in 1940; taught at Columbia from 1935 till 1974 when upon his retirement from that institution he was awarded the President’s National Medal of Science. What is intriguing about this particular scholarly correspondence, as revealed to us by Paolozzi’s presentation, is that it does not remain at the mere scientific level, as one would expect in a correspondence between two scientists, rather it explores the vast field of aesthetics within a wide humanistic vision of life as elaborated by the philosopher Benedetto Croce, a cultural hero greatly esteemed and admired by both scientists. In fact, this correspondence is a tribute to Croce’s belief that the growth and development of science does not ipso facto diminish or exclude the growth of the humanities as most positivists tend to assert; in fact, the greatest scientists throughout human history have always appreciated and promoted the humanities as effective providers of meaning and purpose in man’s life; on the other hand, the vast majority of the great humanists have never conceived of science in conflict with the humanities and in principle have not been against science per se. Unfortunately, both Vico and Croce have been accused of being anti-science. That is a grossly misguided view largely promoted after World War II by some influential Marxists out to control cultural life in Italy, but it remains paradoxical, to say the least, given that Vico, identified by the Neapolitan Vico scholar Elio Gianturco as the culmination of Italian Humanism, could have titled his masterpiece The New Humanism, but he opts for The New Science, and that Chargaff, the original discoverer and pioneer of the DNA, as both Paolozzi and Rywalt inform us, defines Croce as “one of the greatest minds that the world has ever seen” comparing him to Leibniz for his consummate ability to integrate scientific discoveries into a wider human vision. That judgment can easily be validated by a perusal of Croce’s Logic (1909) which assigns equal validity to both scientific and philosophical knowledge conceiving them not as opposed but as complementary to each other. For Croce, it is not a question of a difference among disciplines but a difference between methodologies of knowledge. The confusion in this regard can perhaps be attributed to the fact that Croce, as elucidated by Paolozzi’s previous essay on “Croce and Positivism,” harshly criticizes Positivism for one of its false assumptions, namely that the naturalistic method is the only valid and progressive method fit for modernity and post-modernity, thus misguidedly relegating metaphysics, not to speak of religion under attack since the enlightenment and Voltaire in particular, to the dust bin of history and the status of an historically retrogressive and by now superseded cycle of culture. In section three of this session we offer an insightful comment by Edwin Rywalt to Paolozzi’s presentation and specifically to the opening sentence on the awarding of Nobel Prizes, giving us a glimpse of some of the behind the curtain academic events going on at Columbia University during the 60s related to the controversy whirling around one of its most celebrated professors of bio-chemistry who had pioneered the research on the molecular structure of DNA vis a vis the final awarding of the Nobel Prize to Watson and Crick for its discovery, to the utter exclusion of its first pioneers, namely Erwin Chargaff from Columbia University and Rosalind Franklin from King’s College, London, the only scientists with a thorough training and expertise in chemistry per se. This probing comment by Rywalt is redolent, to my mind, of the Vichian insight that since both science and art are created by man, he may return to their origins with more certainty than with the deterministic laws that govern nature, which he certainly did not create. It also reminds us all that within time and space man remains a fallible being searching for his destiny and redemption and that human ambition and competition for prestige and recognition—whether in science or in the arts, and especially when the two are seen as antagonistic to each other-- more often than not prove to be stumbling blocks to the attainment of impartial truth. Here once again we stumble on aesthetics, a major concern of our symposium with which we will deal more extensively in the next meeting which will focus on Vico. 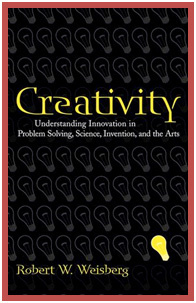 Finally in section four, as a way of a preliminary exploration of the “mystery” mentioned by Rywalt at the end of his perceptive comment, we refer to what we consider a relevant book (2006) by Professor Robert Weisberg, a professor of psychology at Temple University in Pennsylvania who has systematically explored the interrelationship between innovation and problem solving in science, invention and the arts. This is an eye-opening enlightening book, a sine qua non for all those who are interested in the interrelationship between science and the arts. In this session we limit ourselves to quoting a relevant excerpt from the book as a way of urging interested readers to at least peruse it. At one point of the book after analyzing Picasso’s Guernica, Weisberg suggests that “no Picasso, no Guernica” and calls that subjective knowledge as in the arts; and then he adds that “had not been a Crick and a Watson “there would still be a DNA,” which he calls objective scientific knowledge to be discovered, but then he warns that it is not as simple as all that and concludes that “the creative process in the arts and sciences may be more similar than different” (emphasis mine). That startling anti-positivistic statement is what makes the book interesting and alerts us to the fact that to be anti-positivist does not mean to be anti-science. Indeed, the mode by which scientific discoveries are pursued, presented and perceived remains a creation of man while to be is to be perceived. This combined Vichian-Berkleyan insight that man creates history as well as science while perceiving them, thus substantiating his very existence seminally proposed here is perhaps something worth pursuing in future sessions as we continue to explore the intriguing nexus science/humanities. But aside from the above mentioned philosophical considerations on this matter, there is of course the equally intricate and intriguing issue of academic politics and how fame and influence, in and out of academia, is acquired or co-opted while often enough true excellence goes unrecognized and unrewarded; but that’s a wholly different issue to which I hope some of the symposium’s contributors may also wish to return. Meanwhile, if the inquisitive readers wish to explore this issue a bit more thoroughly, they may peruse two other excellent books: one by Professor Robert Marc Friedman titled The Politics of Excellence: Behind the Nobel Prize in Science (2001), and the other by Professor Istvan Hargittai titled The Road to Stockholm: Nobel Prizes, Science and Scientists; see especially chapter 12 of the latter book titled “Who did not Win,” which identifies the most glamorous and lamentable oversights of the Nobel Prize Committee leaving the reader perplexed and wondering if those oversights are due to ignorance, negligence or sheer stupidity. People tend to confuse the three but they stand on their own. 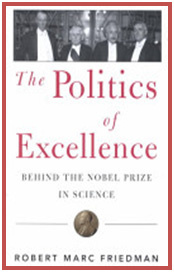 Be that as it may, both books provide us with a glimpse of how politics and personalities often trump science’s vaunted iron-clad objectivity resulting in much more subjective judgments about Nobel Prizes than we’d like to readily acknowledge. Nevertheless, on a more positive side, we are provided in these two books with the human face and human foibles of scientists and those who judge their merits. It turns out that they too are all too human and consequently dogged by fallibility and mistakes, but this reality in some way humanizes science since it is man that envisions science and presents science to his fellow humans; even more importantly, as Berkeley has well taught us, “to be is to be perceived” and without perception there is no existence either. 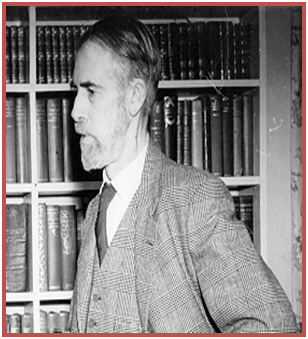 In 1932 Christopher Dawson published a book titled The Making of Europe which had enormous success and established his reputation as a scholar of incredible range and erudition who could communicate with great clarity and elegance. He had previously written two other books: The Age of the Gods (1928), and Progress and Religion(1929) but The Making of Europe was unique. The book avoids the conventional burdensome footnotes, bibliographies and theoretical frameworks and reads like a romantic novel, hence its popularity. Indeed, 19th century Romanticism was a corrective to the previous century, the so called age of Enlightenment. It did this by questioning the rationalist conviction that the empirical physical sciences constituted the paradigm of all knowledge and thus reinstated Giambattista Vico’s revaluation of history against the Cartesian depreciation of it as mere gossip. Vico had observed that the external world of nature is ultimately impenetrable, for the human mind can only attempt to manipulate it within the strict limits set by God who created it. The stream of history, on the other hand, is essentially the world that the human creative spirit has made, and therefore despite its recurring mysteries, it can come to be known by humans in an incomparably deeper sense. Dawson shared this revaluation of history as did Hegel when he declared history the highest form of knowledge: the self-realization of the absolute spirit in time. 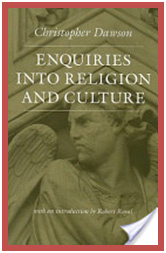 And what was the single idea, the keynote of Dawson’s thought as found in The Making of Europe? It was this: religion is the soul of a culture, and a society that has lost its spiritual roots is a dying society, however prosperous it may appear externally. The fate of our civilization was endangered not only by the fading of the vision of faith that originally formed it, namely Christianity, but the failure to integrate the world of reason and science with the world of the soul, which has lost the power to express itself through culture. In some way this is similar to Croce’s assertion that “we cannot but declare ourselves Christians” which was the actual title of one of his most seminal essays. It is also similar to Vaclav Havel’s speculation on the need for culture to transcend itself. In Dawson’s view this was the tragedy of modern man. Before writing his famous book, Dawson had read and pondered deeply the works of Augustine (The City of God) and Edward Gibbon (The Decline and Fall of the Roman Empire). He was also influenced by Lord Acton’s World History, wherein Acton affirms that “religion is the key of history.” He slowly became aware of the continuity of history and of how the coming of Christianity had transformed the dying Roman Empire into a new world. 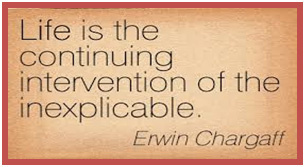 He spent fourteen years of intensive study before writing his more than twenty books among which Enquiries into Religion and Culture (1934), Religion and Culture (1948), Religion and the Rise of Western Culture (1950), The Crisis of Western Education (1961), The Formation of Christendom (1961). All these books deal with the life of civilizations. The underlying idea in them is the interaction of religion with culture and subsequently with civilization. Religion is discovered to be the dynamic element in every culture—its life and soul. He discovered that worship, prayer, the rite of sacrifice, and the moral law were common to all religions and so the object of worship, and moreover, the destiny of the human race were conditioned not only by material progress but also by a divine purpose or providence working through history. Dawson also discovered that “the world religions have been the keystones of the world cultures, so that when they are removed the arch falls and the building is destroyed” (Progress and Religion, p. 140). As he surveys the two millennia of Christianity, Dawson noted four landmarks. The first one is the new element which defines the difference between the new faith and the primeval religions of Europe: this is the principle of a dynamic and creative spirit that inspires the whole of life. The Christian religion has a power of renewal that has accompanied it through the ages. 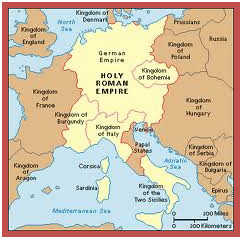 The second landmark is the extraordinary development in the fourth century A.D., when Constantine declared Christianity the official religion of the Roman Empire. After centuries of living on the inherited capital of the Hellenistic culture, this fountainhead seemed to run dry. Yet the achievements of Greece and Rome were not rejected by this new faith. They were merely transformed. Classical learning and the Latin language became fused with the ideals of a Christian society that was founded not on wealth, tyranny and power but on freedom, progress, and social justice. Latin became “not only a perfect vehicle for the expression of thought but also an ark which carried the seed of Hellenic culture through the deluge of barbarism” (The Making of Europe, p. 49). The third great change of thought, according to Dawson, came about in the 16th century with the Renaissance and the Reformation, which brought an end to medieval unity. The fourth came about after the industrial revolution in the 19th century and led to the 20th century. In one of his last books, The Crisis of Western Education, Dawson calls our own era the age of Frankenstein, “the hero who creates a mechanical monster and then found it had got out of control and threatened his own existence” (p. 189). He had in mind atomic warfare and he argued that if Western society were to gain control over these forces there would have to be a reintegration of faith and culture, and that there is an absolute limit to the progress that can be achieved by perfecting scientific techniques detached from spiritual aims and moral values. This is similar to Einstein’s assessment of our era as one characterized by perfection of means and confusion of goals. 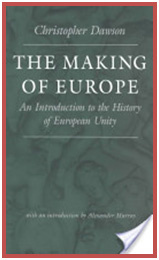 But let us go back to The Making of Europe which remains Dawson’s best-known book. In it he demonstrates that Christianity has been the spiritual force that created the unity of Western culture, indeed the commonwealth of Europe itself, from the chaotic world of myriad warring tribes. He shows in that book how the Dark Ages, the period between 400 and 1000 A.D., became a dawn that witnessed the conversion of the West, the foundation of Western civilization and the creation of Christian art and liturgy. And he then asked a crucial question: If such a transformation could happen in the age of the barbarians could it not be repeated now? 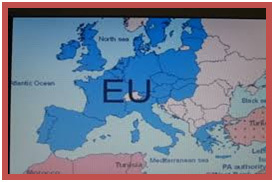 Like the founding fathers of the EU, Dawson, after the Second World War, was already envisioning a new united Europe. But he soon realized that there was a problem which faced not only Europe but America too and all societies that consider themselves Western. The problem was this: the disastrous separation of culture from its religious base, brought about by the modern “barbarians of the intellect” and assorted nihilists, was abetted by the modern educational system which considered the study of religion superfluous, and in fact aimed at its liquidation. The unity of thought, which had prevailed in European civilization over a thousand years, was shattered by excessive specialization which allowed the educated elites to see the tree and miss the forest; moreover science, philosophy and theology had long since split apart. Education, rather than being a preparation for life, had become purely utilitarian and vocational. Humanistic studies needed to be resurrected in all schools and not preserved, almost as a relic of the past, in places like Harvard, Yale and Princeton universities as a sort of frosting on the cake of education. This was urgent since the Trojan horse of the neo-barbarians had already entered the citadel of learning and was hard at work destroying it from the inside. Humanism as integrated with Catholicism was at the forefront of Dawson’s speculation. It was humanism which produced the medieval unity of the 13th century exemplifying Christian culture par excellence. For the flowering of art in every form reached its zenith in Europe between the 13the and 15th centuries with the poetry of Dante and Petrarch, the fresco painters of the Florentine school Giotto and Fra Angelico, and the sculptures of Michelangelo. It was also the age of saints and mystics, both men and women: St. Francis of Assisi, St. Dominick, St. Catherine of Siena, Julian of Norwich, Hildegard of Bingen, just to name a few. To conclude, it is misguided to think of Dawson as an anti-modern. Both he and Vico have been so branded. Rather, what he was advocating was a revival of spiritual values in a godless and nihilistic world. The reason he was assigned the first Chair of Roman Catholic Studies at Harvard University was that he had the well earned reputation of being a very broad-minded scholar, able to contemplate opposite ideas and integrate them. He was, in short, a consummate humanist who understood the universal character of the Church in the sense that she belongs neither to East nor to West but stands as a mediator between the two. It was in fact his humanism which led him to convert to Catholicism as had also happened for G.K. Chesterton, Graham Greene and David Jones. I hope that this brief sketch of a great and beautiful mind will motivate some readers to a deeper exploration of its genial ideas. When discussing the science of DNA, our first thoughts run to the famous scientists Watson and Crick, winners of the Nobel Price. But there are other scientists, perhaps less well known, who have contributed to the kind of research which has revolutionized our epoch and are worth remembering even by non specialists. Above all, Chargaff is worth mentioning for the complexity of his work, the affability of his character and for his ethical commitment which characteristically was sober but firm. The biologist-philosopher Alberto Mei del Testa writes that “we owe to Erwin Chargaff the discovery of the exact composition of DNA, of its heterogeneity in living species and, on the other hand, of its constancy within the same species.” He is the founder of molecular biology who emigrated to America following the advent of Nazism in Austria. He was a shy and original man, estranged from academic life and opposed overall to the scientific conformism of his times. 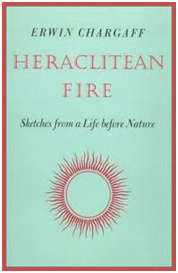 In the 80s the editor Garzanti published his book Heraclitean Fire; a book rich in philosophical reflections, literary observations, and ethico-political considerations. From the various notes on scientific arguments in those letters one can clearly deduce that Chargaff is constantly enlarging his knowledge of Croce. On the 3rd of December 1986 he writes: “many thanks for your letter of the 17th of November and the splendid gift of two of Croce’s books. I did not have them in my library and I have perused them with great interest, especially the volume on Poetry. It is surprising that a philosopher as rigorous as Croce can demonstrate so much depth in the understanding of what poetry is all about. You were quite right in directing me to the chapter where he explains why poems are untranslatable. I myself once wrote an essay on this very subject, but when it came to including it in my last book Zeugenschaft, the editor had a fit, to the point that I decided to eliminate the chapter.” Even more significant is what he writes in 1993: “I have already read the abstracts that you so cordially have forwarded me and found them very interesting. Benedetto Croce is one of the greatest and most rare minds that the world has ever seen. Had he lived at the end of the 17th century he would have been another Leibnitz. Ortega y Gasset, in the thirties, spoke of specialization as the barbarism of our times. Of course the Spanish philosopher was an optimist. The barbarism in question was reintroduced with other more nefarious arguments. But as Chargaff teaches us, the necessity of reopening the hermetic iron doors of the cultural disciplines remains the chief duty of the contemporary intellectual and one of the best ways of defending man’s freedom and dignity. Prize controversy. 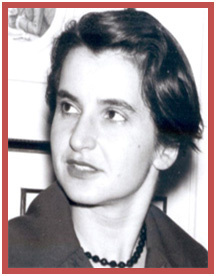 Rosalind Franklin's work was a critical component in the discovery of the DNA structure: without her work Watson and Crick probably wouldn't have succeeded in establishing the structure and wouldn't have received the prize. Why was she not included? And now I see that Erwin Chargaff's 'rules', which established the correct pairings of the four nucleobases in DNA, were incredible discoveries that led directly to Watson and Crick- and he was also left out of the award. 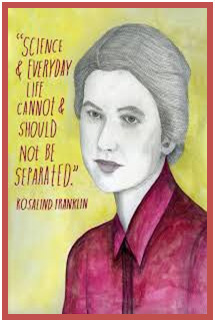 It seems to me that the contributions of Rosalind Franklin and Chargaff (and several others) were at least as important as the contributions of Watson and Crick. 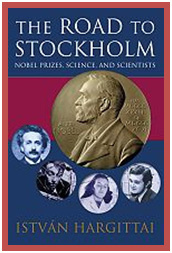 Why the Nobel committee ignored their contributions is a mystery.